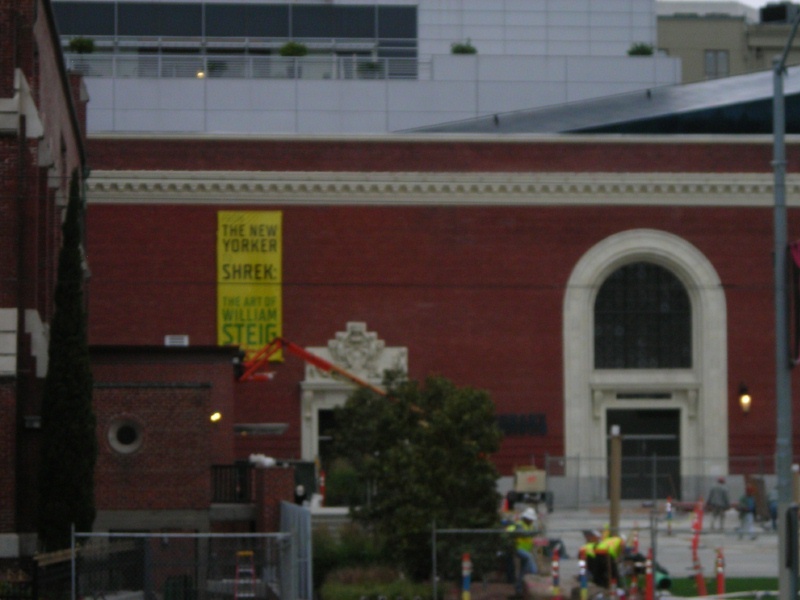 The Contemporary Jewish Museum is nearly ready to open. The first show will feature the work of William Steig. The old substation looks great. 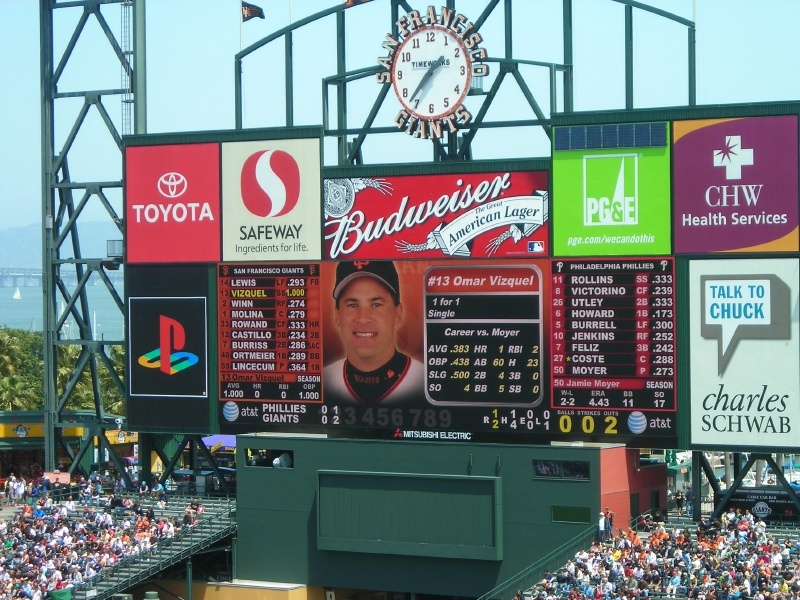 Yesterday the Giants turned their first triple play in the new park, but they lost to the Padres in the 13th. Before the game, they honored Omar Vizquel for setting the record for games played at shortstop. Luis Aparicio appeared before the game. 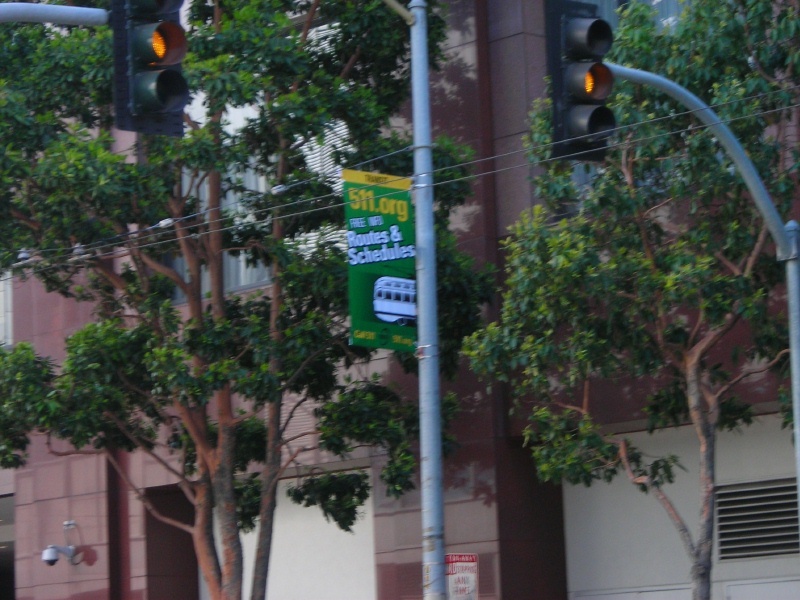 The trees made it difficult to take this photo without getting run over by traffic on Mission Street. This morning I heard a story on KCBS saying that rebuilt cable car 25 was back in service. I ran out at lunch time and had to decide whether I should cut up Ellis or keep going out Market to Powell. I made the wrong choice. As I turned onto Powell from Market, I saw 25 waiting for the light outbound at Ellis. The rear platform looked really nice. 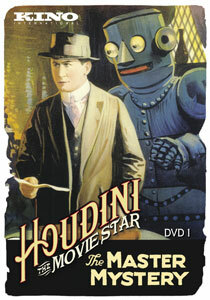 While I was home sick, I took advantage of the opportunity to watch the first film on Kino's set Houdini the Movie Star. I have wanted to see The Master Mystery, a serial, for many years. I probably first read about it in a biography of Harry Houdini. At some point I realized that I didn't have the manual dexterity for sleight of hand, so I became interested in escapology. That led me to read everything I could find about Houdini. 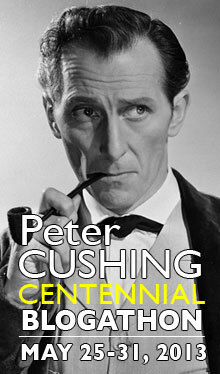 Since I was also interested in silent movies, I paid attention to the many references to his film career. I thought The Master Mystery sounded particularly interesting because of the robot which it featured. 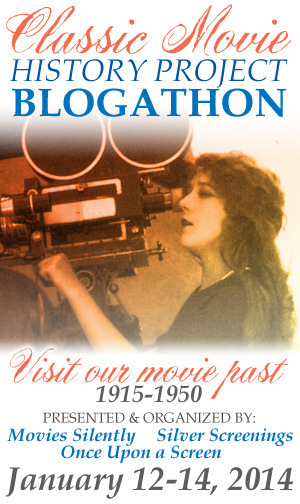 The movie was made in 1919, before Čapek coined the term robot. It was called Q, the Automaton. Its gang was called the Emissaries of the Automaton. Great name. -- I like the image. The automation looks like a Muppet automaton. My daughter thought the acutal robot was cheesy looking. I liked the way he walked, especially the way he moved his arms. 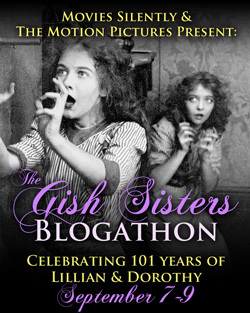 If the movie had been release in the 1980s, someone would have created a dance called "The Automaton". 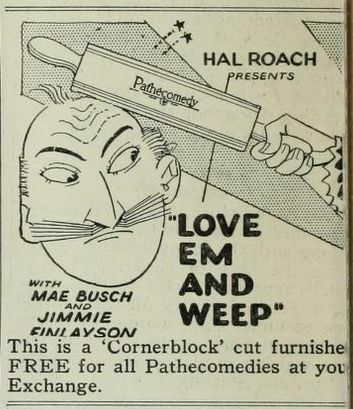 -- In two different episodes, the people with Houdini used him as a battering ram to break down a door. I've never seen that done outside of a cartoon. They did not use his head. -- The subtitles used a wonderful font. Whenever a lowercase "g" appeared on the bottom line, it had a huge, curling tail. -- The images on some of the art titles were funny. I liked the view of the cave with eyes looking out from the dark. -- One of the titles which explains a missing part of the movie says that Houdini used his "escapist" skills to get out of a trap. Wrong word, I think. -- The tinting was appropriate. 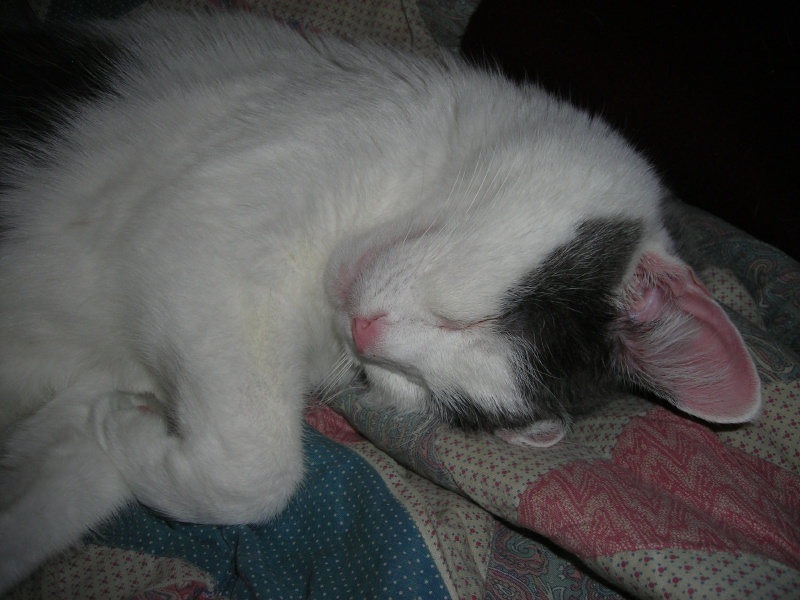 -- The books always said Houdini was stiff. I think he was restrained, but not stiff. Some of the actors were considerably less restrained, especially Doctor Q. 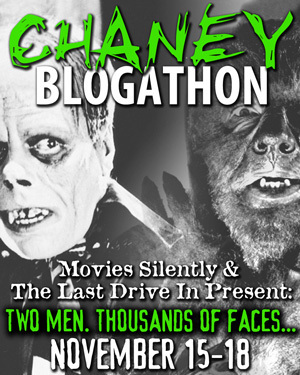 -- It was unusual to see a serial where no cliffhanger involved an automobile or an airplane. The cliffhangers focused on Houdini getting restrained (ropes, chains, barbed wire, a strangling machine) and getting loose. -- I don't think I have ever seen another fiction movie that mentioned Madagascar so many times. Sydney Pollack died. I enjoyed Three Days of the Condor. I was surprised to discover that I haven't seen very many of his other movies. I was not downtown at the end of last week to buy a poppy. 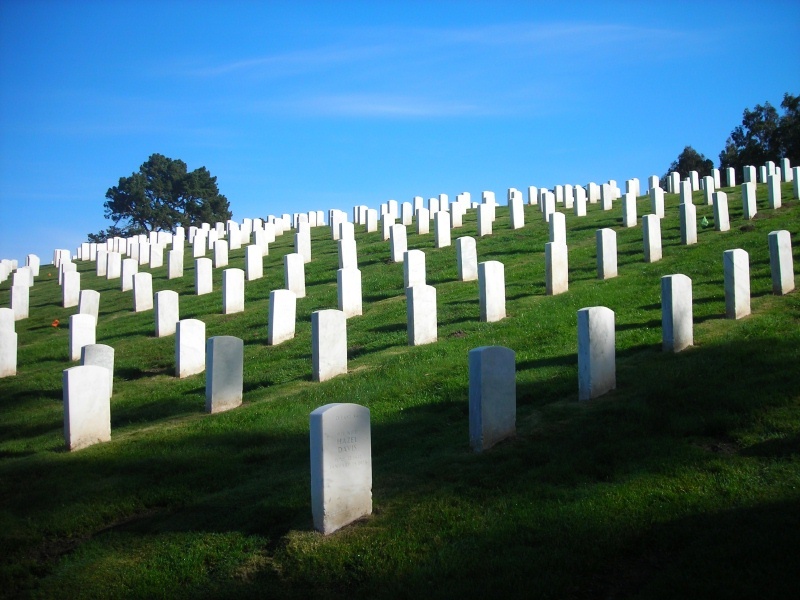 Carl Nolte, in a nice article in the SF Chronicle, quoted General George S Patton: "In my mind, we are here to thank God that men like this lived, rather than regret that they died." The new lander made it safely to the North Pole region of Mars. I took this on 04-May-2008. Dinner with the family at Westlake Joe's. I had sole. Very good. The fire in the Santa Cruz Mountains is finally getting contained. Last night we attended the Honors Assembly at SF State. It was nicely done, although the honorees were late marching in. I pictured a line of honors students pulling on a door labelled "Push". Tonight was a gathering and certificate ceremony for the LSITE (Liberal Studies Integrated Teacher Education) program. Today I went out at lunchtime to get something for my cold. On my way back, I noticed some sidewalk art in front of the Museum of the African Diaspora. 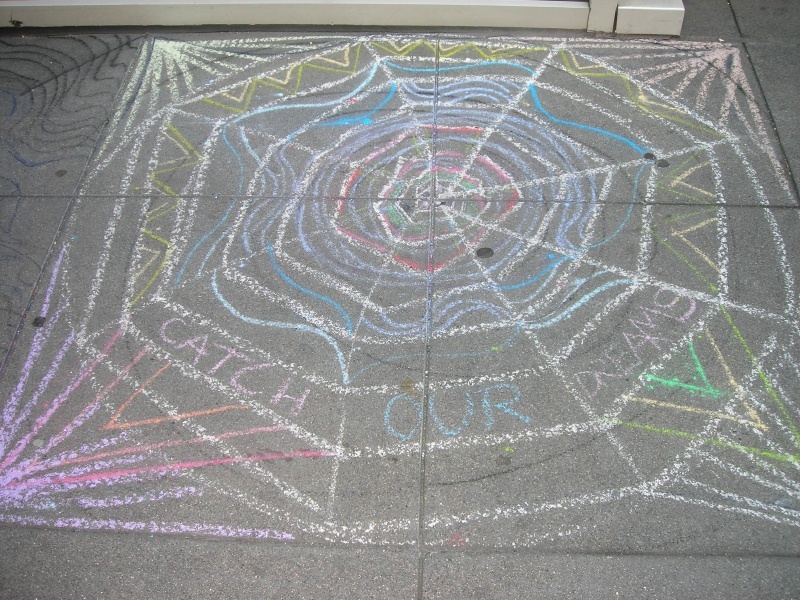 I liked this one, "Catch Our Dreams." 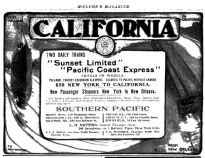 A Southern Pacific ad from a 1903 McClure's Magazine encourages people to travel to California by train or by ship. A big crane spent all day putting solar panels on the roof of the Moscone Center. A Toledo (Pope-Toledo?) defeating a Franklin auto in the fourth race at San Francisco's Ingleside Racetrack on Friday, 06-November-1903. I like the minimal look of cars like this. "In the five-mile number for gasoline cars only, twenty-four horsepower and under, there were only two starters. The big Toledo car resembling a the prescription counter in a drug store (!? - JT) and driven by W. E. Saunders, with a chauffeur for ballast, who threw himself out on the inside step at the turns, looking like the spinnaker of the Reliance, made quick work of the Franklin, with W. F. Winchester at the wheel. The latter was indulged with the lead in the second mile, but only for a one-night stand. The winner's time was 6:46 4/5. Time of the Franklin 6:52." From the 07-November-1903 San Francisco Call. The fog is back by the coast. Thank Heaven. Last night we went to a nice ceremony and dinner for the teaching credential candidates at San Francisco State. It was hot yesterday and hotter today. 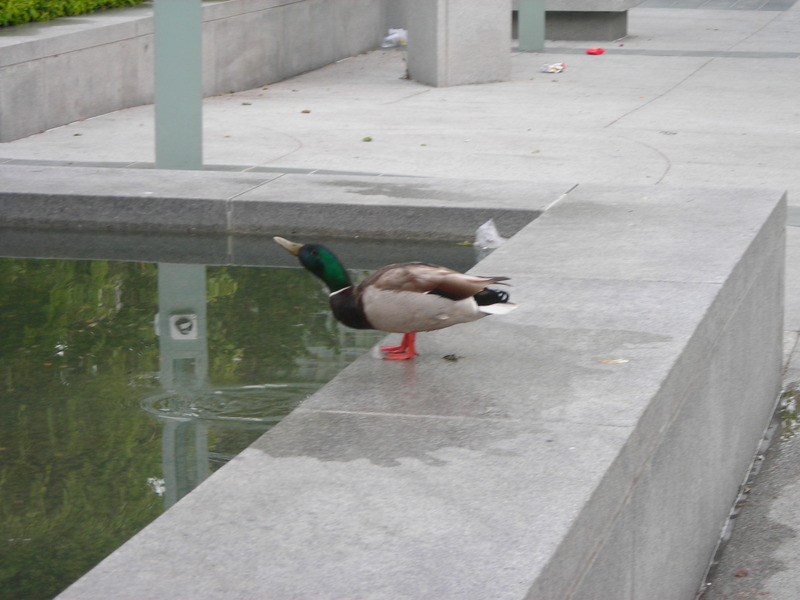 As I walked across Yerba Buena Gardens yesterday morning, I saw a duck standing by the fountain. I had never seen a duck there before. He quacked quietly for a while, drank some of the mucky-looking water, then flew away. He wasn't there today, but I saw the same wet patch on the edge of the fountain, so perhaps he had just left. Yesterday at lunch time I got out for a bit and tested a new small video camera. Today I took a short walk. As I walked back across the gardens to catch the bus home today, I encountered a guy who was blowing bubbles. Good idea. 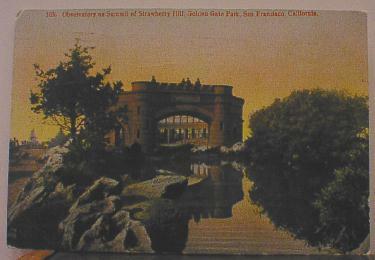 This postcard shows Sweeney Observatory, atop Strawberry Hill in Golden Gate Park, where people could go to observe Sweeneys. The building was destroyed in the Earthquake and Fire of 1906. The foundations are still visible. I'm grateful for my mother and my wife and my mother-in-law and sisters-in-law. All great mothers. Yesterday we went to see the Giants play the Phillies. The Giants broke their 5-game losing streak. Tim Lincecum started the game by striking out the side in the first inning. He pitched 8 innings and gave only two runs. Omar Vizquel played his first game of the season. He led off with a single. The photo, which I took yesterday, shows his 1.000 average. He played the whole game. The weather was nice, and we had seats in the last upperdeck box on the right field side. While serving as editor of Manufacturer and Builder Magazine, he wrote many articles, including the ones which gave this blog its name. In 1893 and 1894, he published a 23-part (!) memoir in the same periodical. Here is the fourth part. He continues his discussion of his career in electrical engineering. Antonio Pacinotti was an Italian physicist who improved the dynamo. Zénobe Gramme was a Belgian electrical engineer who created the first dynamo useful in industry. George B Prescott was the first chief electrician of the Western Union Telegraph Company. 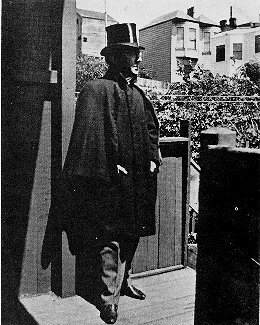 His nephew, Frank C Prescott, later became a newspaperman, a lawyer, and a Brigadier General in the California Militia. I assume the Mr Field whom Dr Van der Weyde describes was Stephen Dudley Field. Career as an Electrician (continued from p. 88). -- The statement made that the invention of the dynamo was primarily the result of the successive labors of Pacinotti in Italy and Gramme in France, is based on undeniable facts, recorded in the publications of the period in which those eminent investigators lived. These prove that this modern generator of electricity is, in fact, nothing but the electric motor of Pacinotti, which originally was intended to transform an electric current into a motive power, but of which Gramme inverted the function and used it for the transformation of a moving power into an electric current. The electric motor was, therefore, the predecessor, or parent, of the dynamo, which is, in fact, an inverted electric motor; and as any suitable machine of this kind can be put in operation by an electric current of whatever origin, if only sufficiently strong to move it, it is evident that a dynamo current will cause any suitable electric motor to be put in operation. This shows that the statement attributed to one of the foremost electricians, that the greatest invention of modern times is the inversion of the function of the dynamo (which means that when driven by a motive power it would generate motion in another dynamo), which statement has been going around in many electrical publications, is chronologically erroneous, and should read that the greatest invention of twenty years ago has been the inversion of the electric motor into a dynamo. If such a dynamo is sufficiently large and powerful, its current may drive a large number of small motors, at such a low cost that the voltaic batteries have been abandoned as a motive power on a practically useful scale, and are only used where very weak currents are sufficient, such as is the case with electric bells, alarms, for the telephone, private telegraphs, etc. The latter word reminds me of the active part I took at an early period to advocate the introduction of dynamos for the transmission of telegraphic signals, and of which I wish to leave a record on the pages of the MANUFACTURER AND BUILDER. In 1872 when the Western Union Telegraph Company was erecting the large building at the corner of Broadway and Dey street, New York, in which they were to move after its completion, as their limited quarters at the corner of Broadway and Cedar street became too narrow (especially in regard to the space necessary for the batteries required, some of which had to be placed in other buildings), I predicted that at the rate the business of this prosperous company was increasing, the new building, spacious as it was, would soon become too small to contain even the batteries needed, wherefore I advised Mr. Prescott, who then was at the head of the company, to substitute a few dozen dynamos to take the place of all the batteries, which were to occupy a whole floor above the operating room. This space could be utilized for other purposes, while I recommended that the dynamos be placed in the cellar and driven by steam power, without causing any vibration in the building, unavoidable in the use of dynamos, as these machines, in order to accomplish what was needed, had to be driven with very great velocity. At that time the Gramme dynamo, with the Pacinotti continuous winding, was little understood, and only such machines as produced alternating currents, which were brought in the same direction by commutators, were known by the majority of electricians. They produced pulsating currents, utterly unfit for telegraphy; and this was the objection which Mr. Prescott offered against my plan. I assured him that the Gramme dynamo was not subject to this objection; but as, unfortunately, there was not such a dynamo in this country, he told me that he was soon going to Paris, and intended to investigate this matter. 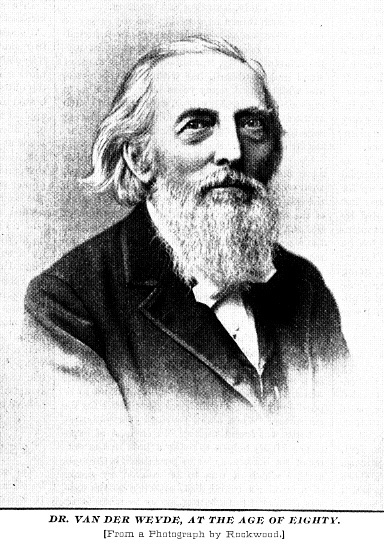 On his return, he stated to me that he found the current produced by this class of dynamos was perfectly uniform, a steady flow, like that from voltaic batteries, keeping the most sensitive galvanometer at a fixed declination, which was constant for a constant velocity of revolution, and only increased when the velocity was increased. He stated that he was satisfied that it could be done, but he hesitated to introduce the innovation, and consequently the whole spacious floor over the operating room in the new building was soon overcrowded with gravity batteries. As I did not suppose that my idea was patentable, because I had neither invented telegraphy nor the dynamo, while the combination of two so well-known principles appeared to me not to be a patentable device, I made no effort in this direction. I soon found, however, that I was mistaken in this opinion, as soon afterward there arrived from California a certain Mr. Field, who had obtained a patent for this very device, and offered to sell his patent to the Western Union Company. He had devised a combination of six Gramme dynamos, one of which he used to magnetize the fields of the five others. This was an old principle which long before had been applied by Ladd in his current generator, in which he used two revolving armatures, one of which served to magnetize the field while the other served to produce the current to be used for the purpose intended. Mr. Field arrived in New York just at a very favorable time, as the Western Union Company was compelled to increase again the amount of their battery power, and had actually no more room, as the whole extensive floor was full of batteries, and it was found that the only way out of the serious difficulty was to remove a section of the batteries and substitute therefor the six dynamos which could produce more than fifty times as much current as the battery cups they displaced. The result was, of course, a success, and could not be otherwise, as the current of such dynamos is perfectly identical in character with that of voltaic batteries; being much stronger, it had to be reduced by inserting artificial resistances, which at first consisted of platinum wire wound around cylinders of plaster of Paris. This expensive arrangement was, however, later changed to something better and simpler -- namely, incandescent lamps, which offer the important advantage of illuminating the surrounding space, which frequently is a dark cellar, as is now the case in the dynamo room of the Western Union Telegraph Company. It was said that Mr. Field was paid $100,000 for his patent, but he told me later that he received a far less amount than that; but certain it is that if my advice, given gratuitously several years before, had been followed, it would have saved the Western Union Telegraph Company a considerable sum of money, not to speak of the bad blunder of not following my opinion, given from the first, to place the dynamos in the cellar on a solid foundation, in place of carrying them up, with the power required to drive them, to one of the upper floors of the very tall building. Surely Mr. Field, who superintended their placement, should have known better. The result was what I had expected -- the whole building was in a continual state of vibration, so that it became utterly unfit to use the delicate instruments required to measure resistance, volts, amperes, etc., and the company was compelled to hire part of another building, for which some rooms over the store now occupied by Greeley in Dey street, opposite the Western Union building, were selected; connecting wires were stretched across Dey street to one of the upper floors of this building. I saw them in use when I had the pleasure of becoming acquainted with the nephew of Mr. Prescott, who had charge of this department. I found him to be a very intelligent, capable and obliging young gentleman, who took pleasure in showing and explaining to me the beautiful apparatus which the company had provided for the purpose of the measurements required to be taken, such as the resistance of the insulating covering of parts of submarine cables in megohms, as well as the static charge of which the inside conductor of a cable was capable, and which required the most delicate devices which have been invented for that purpose. As might have been expected, it was not long afterward that the dynamos were removed to the cellar, where the steam power was close at hand, While the voltaic batteries on the upper floor were only used for short distances, such as local messages, etc., some of which, however, were soon displaced by pneumatic tubes connecting the main building directly with branch offices in New York city. Since the great fire which nearly destroyed the building, all batteries have been discarded and a number of small dynamos substituted for all the work, so that at present there are not any voltaic batteries in use by the company, but every current needed is supplied by dynamos. Company 34, in the triangle between Geary Boulevard and Point Lobos Boulevard near 41st Avenue is home to the Cliff Rescue Unit. 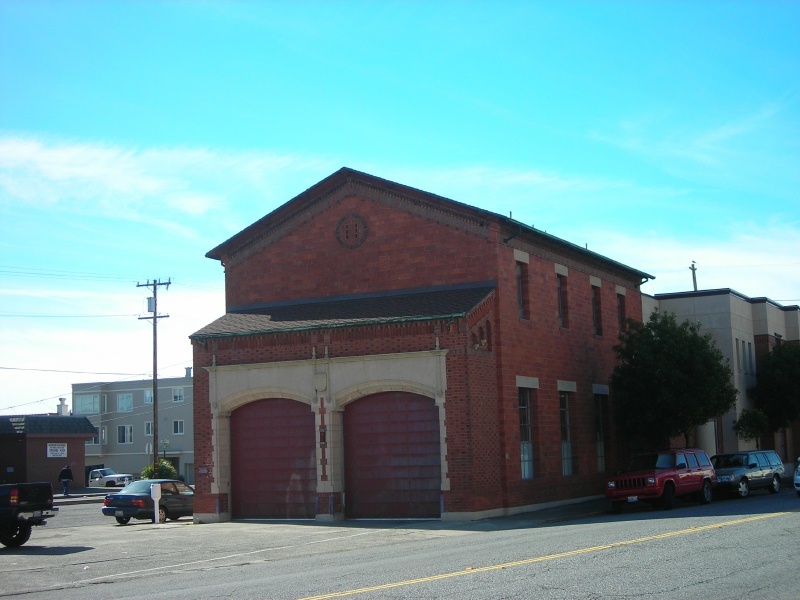 I think it is one of the few pre-1906 firehouses still in service. "In 1903, in order to test the applicability of fans to flying-machine construction, two fans were mounted side by side on a light steel framework, power being transmitted to them through long steel rods, furnished at both ends with universal joints. 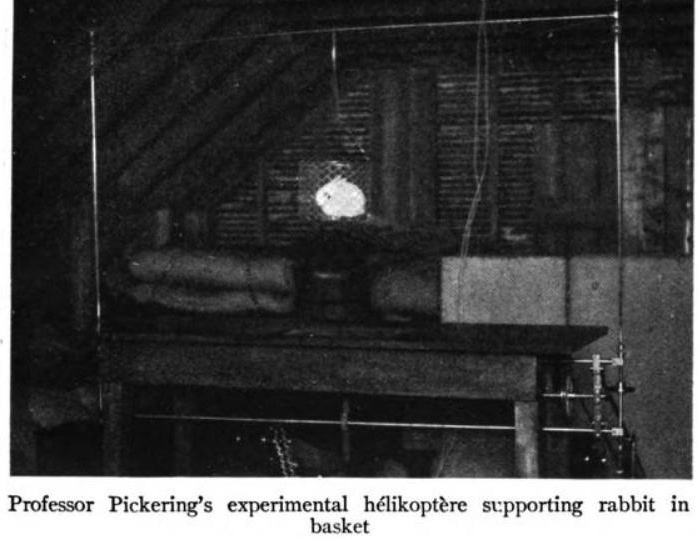 The power was generated by two small electric motors and transmitted to the rods by balanced pulleys. On starting the fans, the machine rose rapidly in the air through a height of 3 feet, which was as far as the cord holding it to the floor would permit it to go. A basket of steel wire was next attached to the middle of the frame, and this was also carried up, the machine and basket together weighing 3 Ibs. A small white rabbit, weighing 1 Ib., was next placed in the basket and sent aloft. In this position he was photographed... The fans are revolving so rapidly that they are not well shown. The total lift of the machine with this power was found to be 4.5 Ibs. It is believed that this is the first time that a living animal was ever carried up and maintained in the air by a purely mechanical flying machine." I keep forgetting to mention that all the furniture stores along Ninth Street are going out of business. On 01-May-1883, the new New York baseball club (not yet called the Giants) played its first National League game, defeating the new Phillies club 7-5 at the original Polo Grounds on 110th Street in Manhattan. General and former President Ulysses S Grant attended the game. I have not seen this mentioned on the Giants' website. 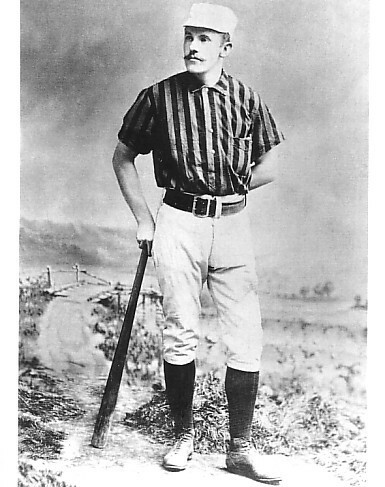 The photo shows John Montgomery Ward -- pitcher, position player, manager, lawyer, labor organizer, team owner -- who played for the 1883 Giants. My red shirt was in the wash, so I couldn't wear it today.